The Ravens have scored the impossible. 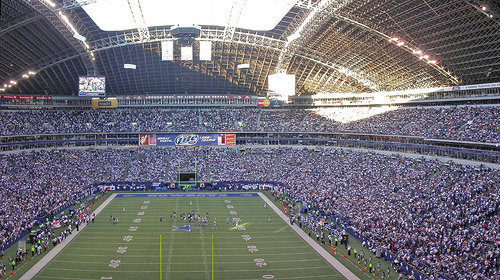 The two longest back-to-back running plays ever seen at Texas Stadium. And it had to be on the final regular game ever played here. What it was to be a party to close out the final game, has turned into a nightmare. Oh no you didn’t! Oh no! I’ve said before, Tony Romo, Jason Garrett and Wade Phillips need to go now. The season is over why wait. Stupid Jerry Jones needs to stop influencing how his team plays the game. This is the reason why Bill Parcells did NOT allow him to step into what is not his business. He may be the owner, but he’s screwing the entire team with his actions. I’m sorry Wade, I liked you, but you’re way too soft. Jason Garrett, you’ve got to be kidding me. My grandma who doesn’t know the game could be more creative than your play calling and your lack of imagination. 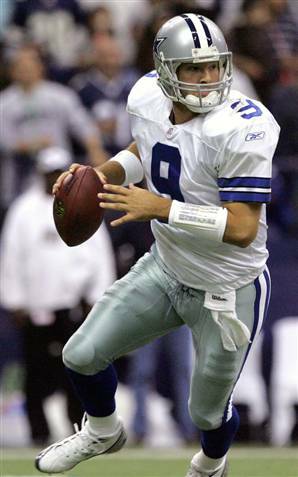 Tony Romo, you are Danny White’s second version. You are never gonna achieve anything here. Please leave on your own. What a dissapointing way to end an era in Dallas. It doesn’t matter how many stars are on. I’m really hurt to see what just happened today. I’m tired to see this kind of thing over and over. The Cowboys need an extraordinary change if things are to improve. The bottom is not reached, yet. They will continue to show this things again and again, until someone does something radical. Cut these people now, and make a pivotal change in how you approach your managing the team and maybe we will be able to see respectable Cowboys on the field again. This team has way too much tradition and history to let it stay hurt like this. Tony Romo losses the playoff game, again! He really needs to take a whole seminar on when and how to throw the ball away. In this loss, he kept the ball when he didn’t have to, he was sacked when he needed to throw the ball away, he threw the ball away when he didn’t have to, causing his team to get penalized for intentional grounding; and the most important aspect of this game, is that he got scared and grew up extremly frustrated as the Giants were able to put a lot of pressure on him. In my opinion, he lost the Cowboys the game. He has played consistently poor over the last five games and it was simply a matter of time before the world fell around him. He needs to erase that stupid smile which I think it’s out of fear he smiles. Not out of confidence. Get a grip on yourself and get some maturity for yourself. Your lame performances are despicable and you need to grow up or get the hell out of this team! Sorry Tony, I’m not with you and cannot consider your playing at the level of a Roger Staubach or Troy Aikman. You’re way down still and unless you change your ways you will be a mediocre player, just like the last few QB’s who have tried it at running America’s Team. Remember one simple fact: Quarterbacks are meassured only for what they do in the playoffs and in the Superbowl. This is strike two for Tony Romo! This team does NOT need another Danny White, who I learned to respect over time, but never did anything of importance for the team; even this year, Tony Romo broke White’s records, but failed like White failed in the playoffs!